I was inspired to enter the field of Speech Pathology and Audiology as a result of knowing kids that I grew up with who needed help at a time when appropriate help wasn’t available. Those kids still remain vivid in my mind. One of my early classmates called our friend “Slicky” because he couldn't say Vicky. He frequently spit on people when he talked and the other kids made fun of him. Also, there was the girl who always seemed to be “lost” all of the time both academically and socially. No one wanted to play with her or be her reading partner and she seemed to be constantly sad. I remember telling my Mother one day that when I grew up I wanted to learn how to help kids like those in my class. And I did. Hear Clear Speak Well was added as a branch of CMI with the intent of maintaining the concept of taking our services to the child through the technology world. Hear Clear Speak Well provides online evidenced based services as well as general information in the areas of Auditory Processing, Speech Therapy and Reading. We pride ourselves in our ability to reach out to therapists, parents, teachers, and caregivers which, in turn, positively impacts our clients. Pamela Addams Hyink is certified by the American Speech-Language and Hearing Association. She also is licensed in the State of Colorado and the Colorado Department of Education. Pam has worked as a Speech Therapist in the public school system with children in both Colorado and Illinois. She taught at the University of Colorado as an instructor for 10 years. Additionally, she guest lectured at CU for the following three years and served as a guest instructor at the University of Northern Colorado and a consultant to a nearby Hospital. Wanting to continue her work with young children, she founded CMI which has now been in existence for over 30 years. Pam has been a presenter on childhood speech and language issues at the American Speech-Language and Hearing Conference multiple times and a presenter at conferences in Colorado and Arizona. She co-authored a popular childhood developmental scale that was published at the time early childhood therapy and educational teams were being developed in Colorado. 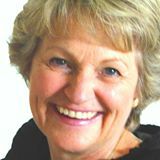 Pam's work has also extended to India where she worked as a consultant in Speech Therapy to a hospital. She joined a Boulder hospital's medical mission team providing medical help in Mexico for 13 years. In addition to all of the children she has worked with locally, she is proud to say that she was able to provide therapy services for 100's of kids in rural Mexico. Currently, in addition to all that she does with her speech therapy practice, she serves on the executive board for one of Boulder’s Sister City Committees. She is also a member of Boulder Rotary where she serves as Chairperson for the Literacy Committee and works directly with Boulder Valley School District to provide a Rotary voluntary literary support program.